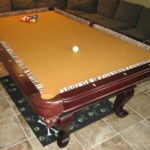 Here we are in Orange, CA to setup and refelt this eight foot three piece slate pool table. 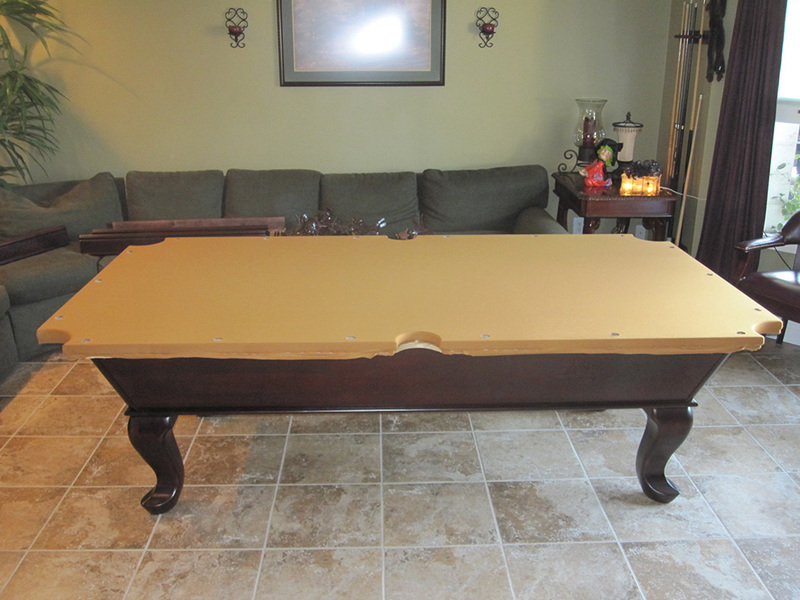 Our client was given this pool table about six months ago, it sat in their garage while some remodeling was going on to make room for it inside of the house. 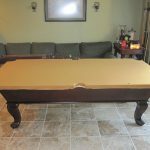 This Chinese import had previously been installed with Khaki colored cloth, but our clients wanted to kick up the pool table’s facade a little bit. 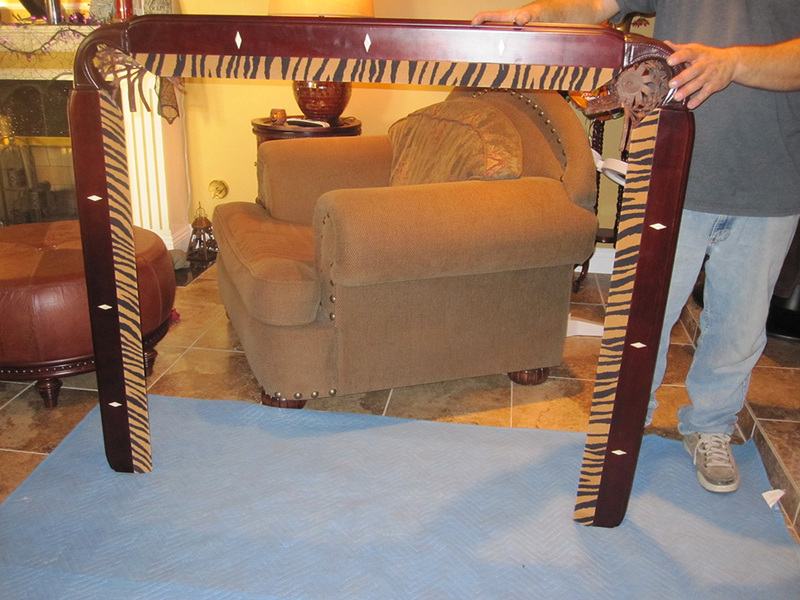 The Mr. & Mrs. came down to our showroom to check out felt colors and fell in love with the tiger printed rail cloth. 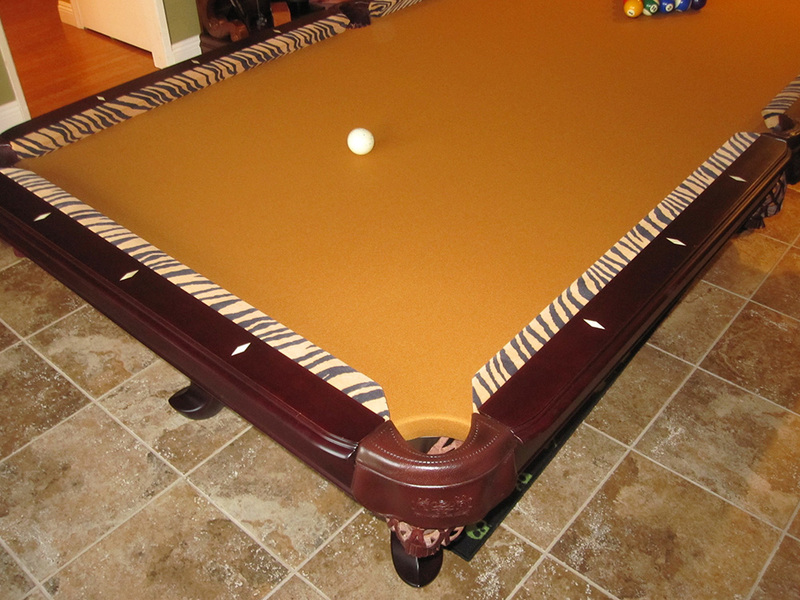 So they decided to pair the tiger striped cloth with with our Mali 10820f gold. So yesterday when we showed up we started on the rails. 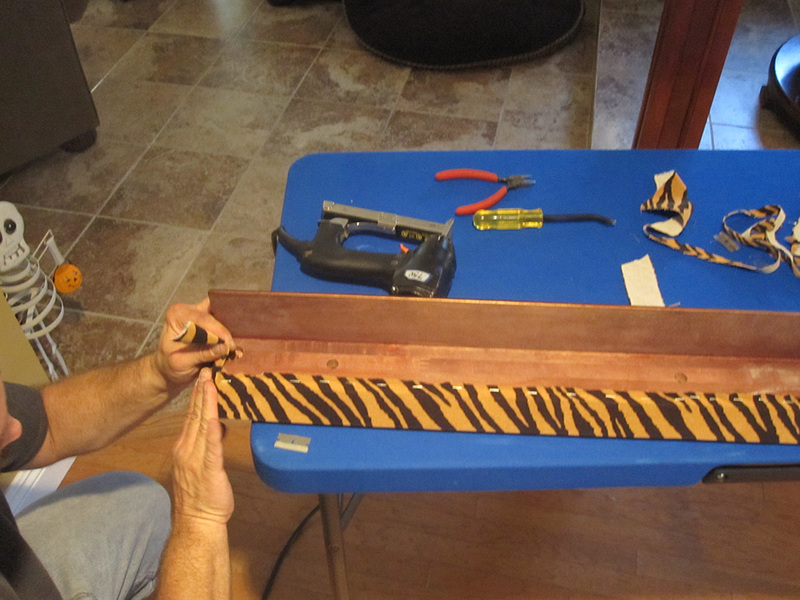 Anthony stripped the old rail felt and installed the new tiger striped felt while I started to level the frame and slates. 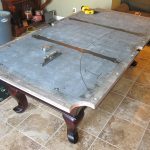 After this I sealed the slate seams and filled all of the slate screw holes, I was now ready to install the Mali cloth onto the slate. 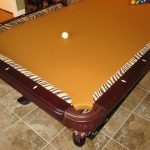 The animal print rail cloth is a neat way to change the overall look of your pool table. We have several different animal skin prints available. 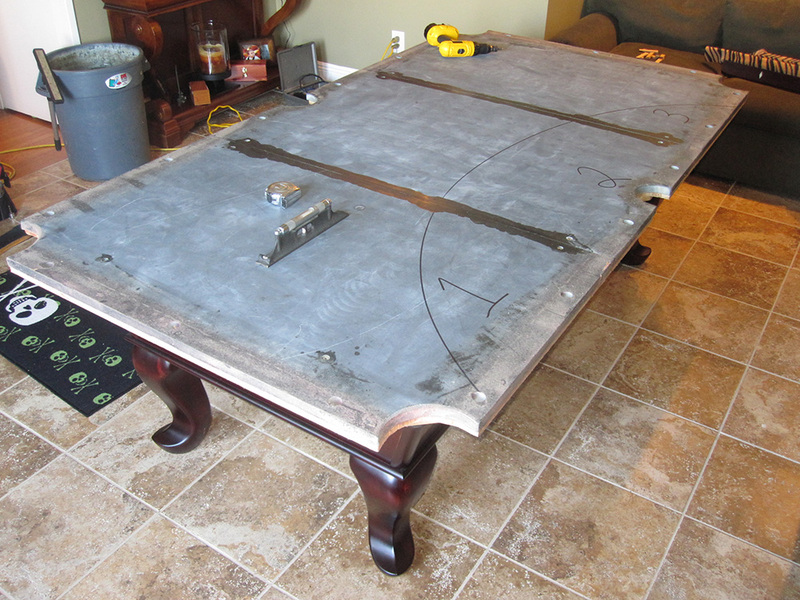 Most people choose either Black or Camel for the slate color, but we’ve had clients choose Purple or Euro Blue. 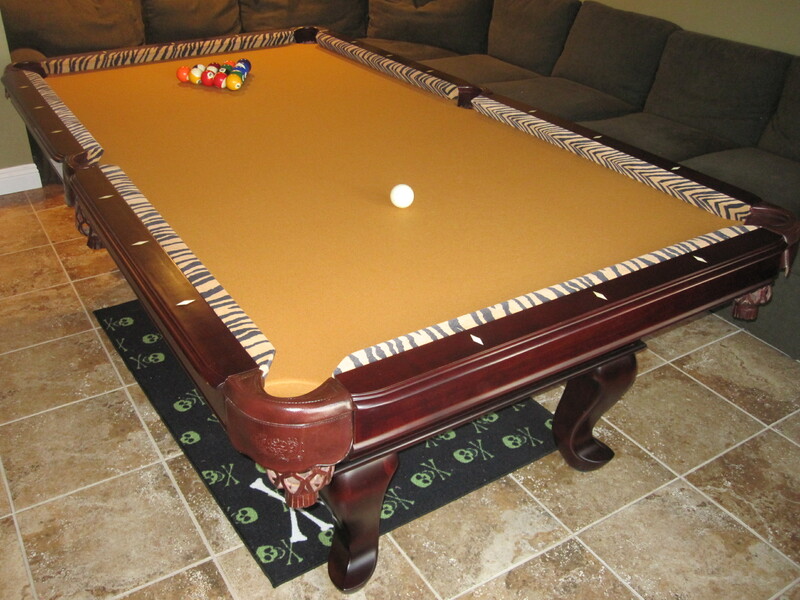 Visit our showroom to see how you can spruce up your own pool table with something on the wild side. 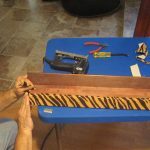 Can I order animal print felt from you? Sure, just let us know how much you need.